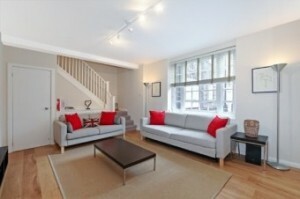 Chelsea London 2 bedroom maisonette, offered for sale by London Estate Agents for £1.500.000. Ideal as a pied-à-terre easy to maintain. Compact & central accommodation in the capital.